Fun Stuffed Ride-On Animals Only $14.99! You are here: Home / Great Deals / Fun Stuffed Ride-On Animals Only $14.99! Not only are these going to be super fun to play with, but they will also make a great Halloween outfit! 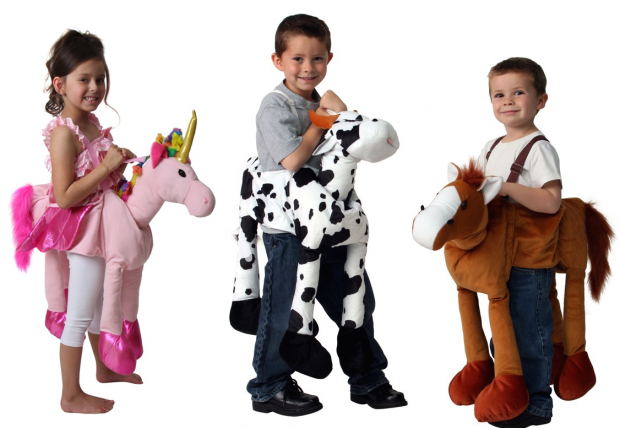 These Fun Stuffed Ride-On Animals are Only $14.99! Soft plush fabric, adjustable shoulder straps and a hook and loop closure create the perfect fit. These cute dress ups make the perfect gift this holiday season. Kids love these safari and zoo animal styles!